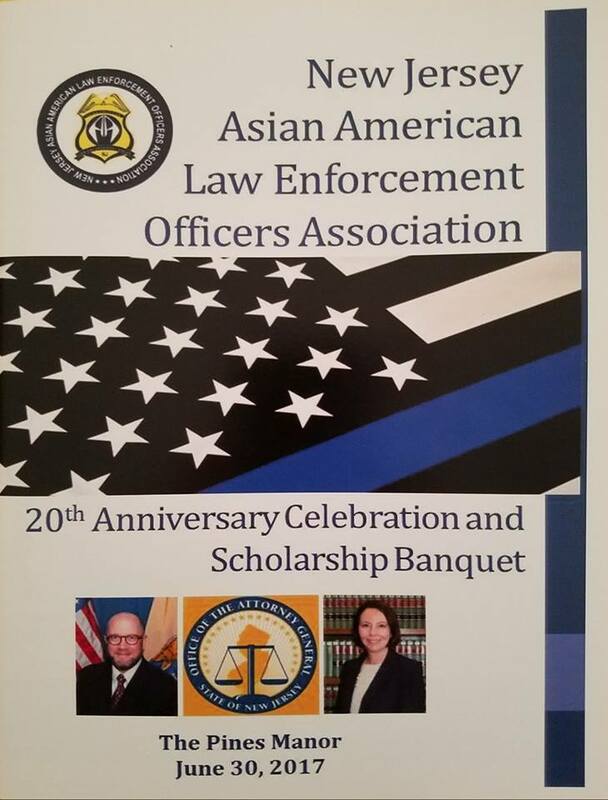 On June 30, 2017 at the Pines Manor in Edison New Jersey The New Jersey Asian American Law Enforcement Officers Association held its' 20th Anniversary Scholarship Awards Banquet The association is the oldest, largest all inclusive Asian based fraternal law enforcement organization in the state of New Jersey It took 20 years for the association to have its' first ever banquet which by most accounts from the almost 300 distinguished guests in attendance was a success on many different levels. Many herein will be thanked for the success of the event and an apology if anyone is omitted by accident. The members of the association. 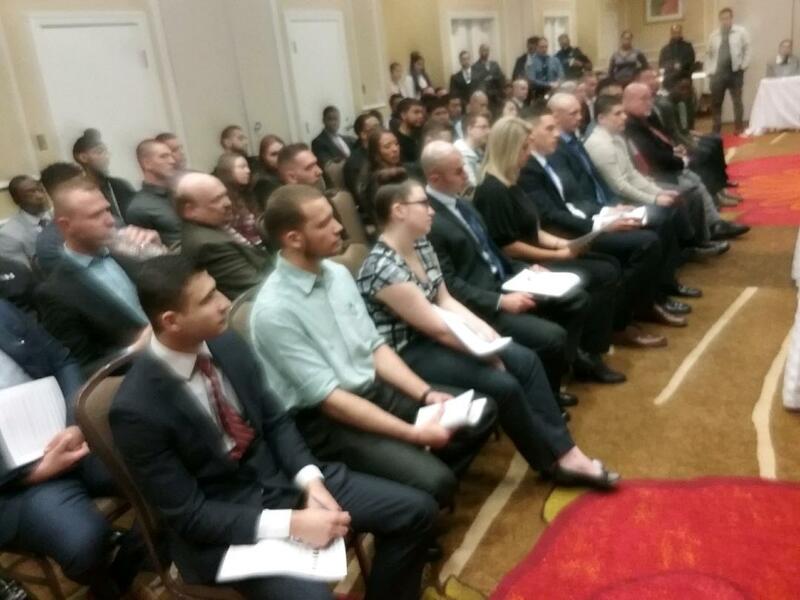 It is simple no members no association and we have some of the best. 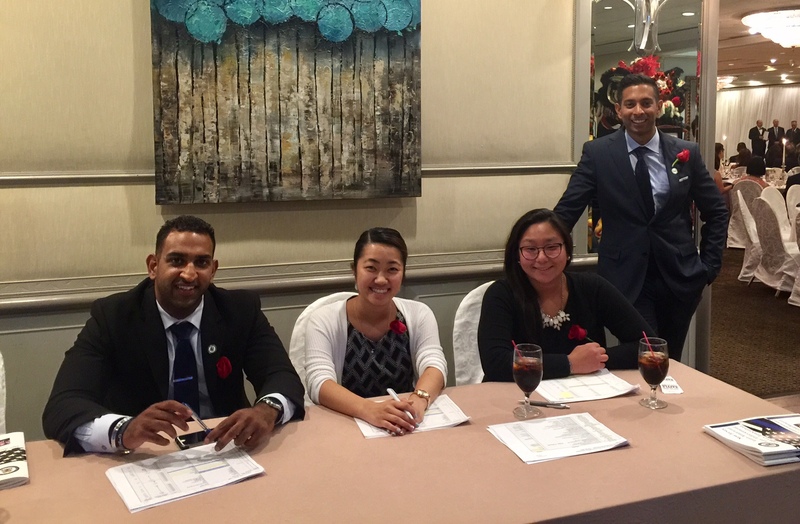 Thanks to those that helped out during and or the day of the banquet Jamie, Alan, Neel, Virginia, Jamie, Grace, Kimberley, Rajesh, Jennifer , Shirley, Harpinder, Jason and Nelson. 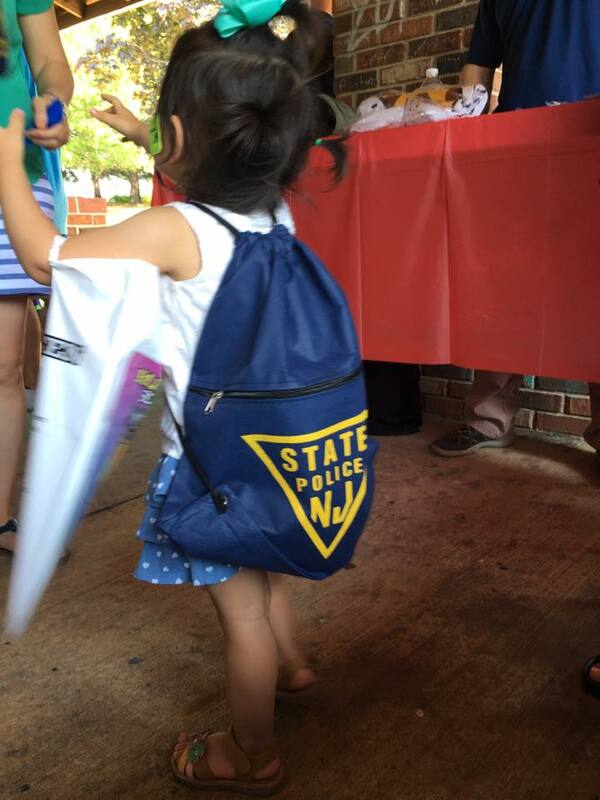 A thanks to Mercer County Prosecutor A. Onofri, Eric Lawson, Mayor T. Lankey, Sungbae Ju, and Father Gerry. 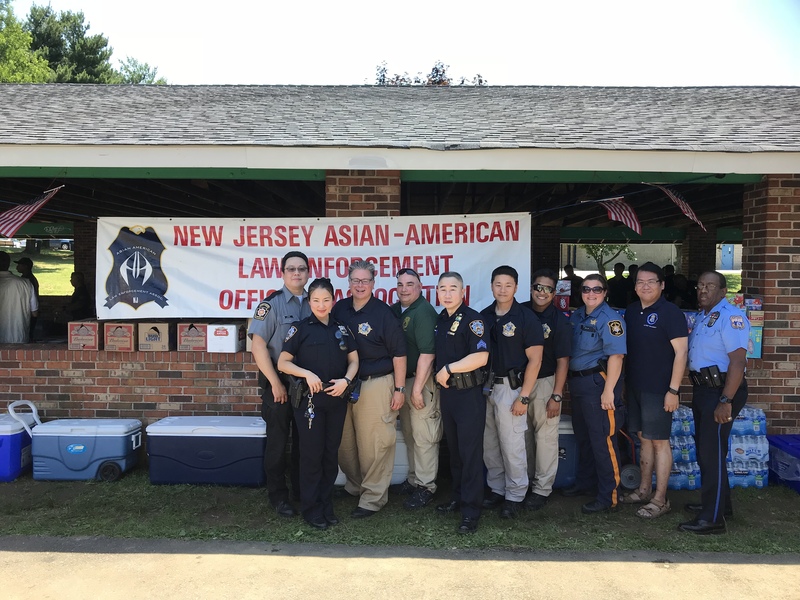 Thanks to the Executive staff of the NJ Attorney C. Porrino's office: R. Ricigliano, C. Sashihara and L. Fong. 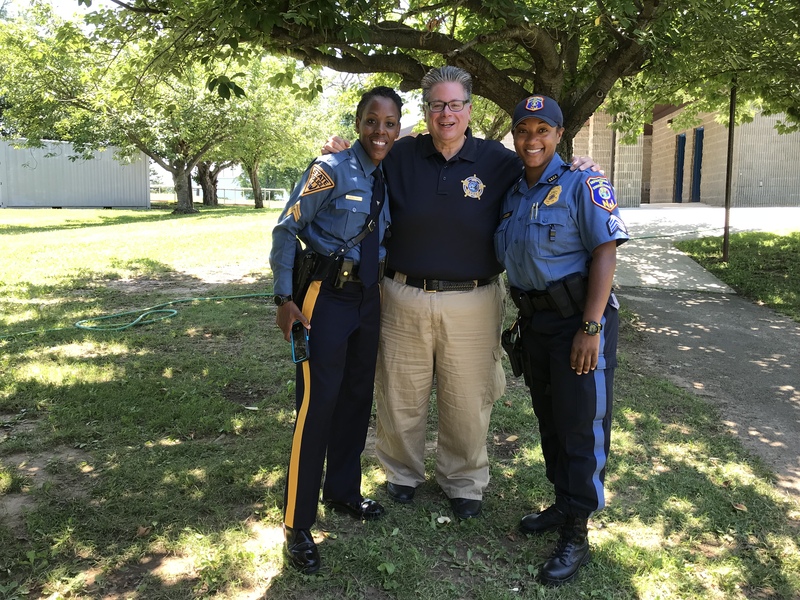 The Sheriffs of Bergen County & Middlesex County and their personnel. 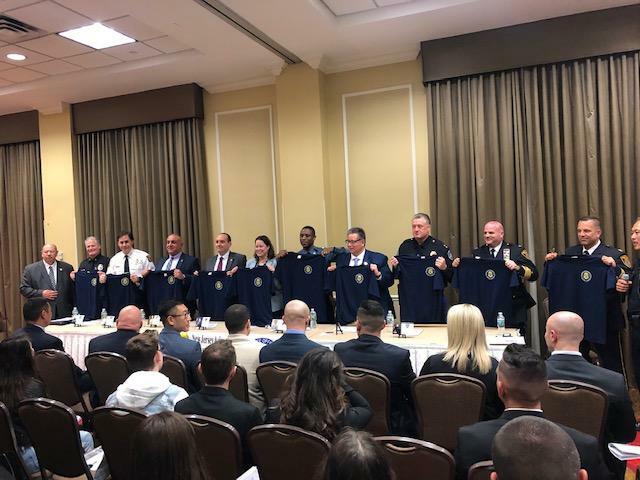 The Executive staff of the Mercer, Bergen, and Union County Prosecutors office. 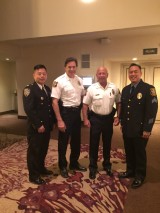 The Chiefs of Edison PD , South River PD and the Deputy Ex. 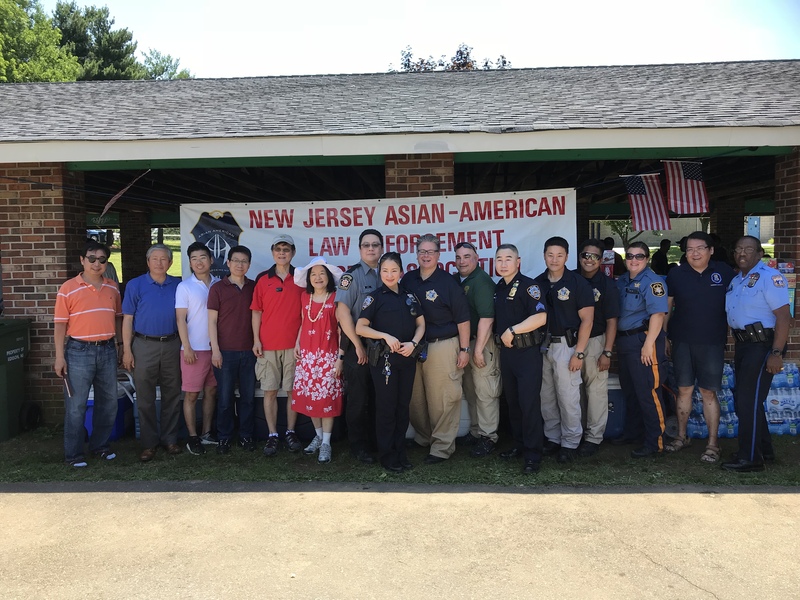 Director of the NJ Chiefs of Police, the Middlesex County Freeholders and Edison town council, the NJ Honor Legion, Massachusetts law enforcement personnel Detective K. Mui, and Trooper Warren Yee, the Organization of Chinese Americans, the NYPD Asian Jade Society, the Edison PBA, Corrections local 105, the Choi Law firm, the Society of Asian Federal Officers, Ms Helen Ng and Dr. Munir Kazmir. 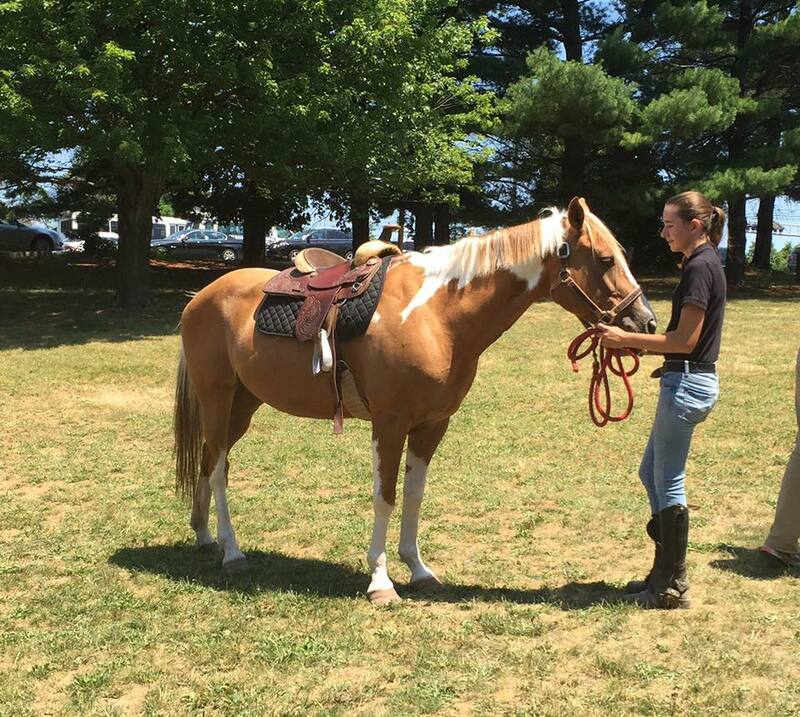 Thanks to Sarah of the Pines Manor and Geralyn who put our journal together. 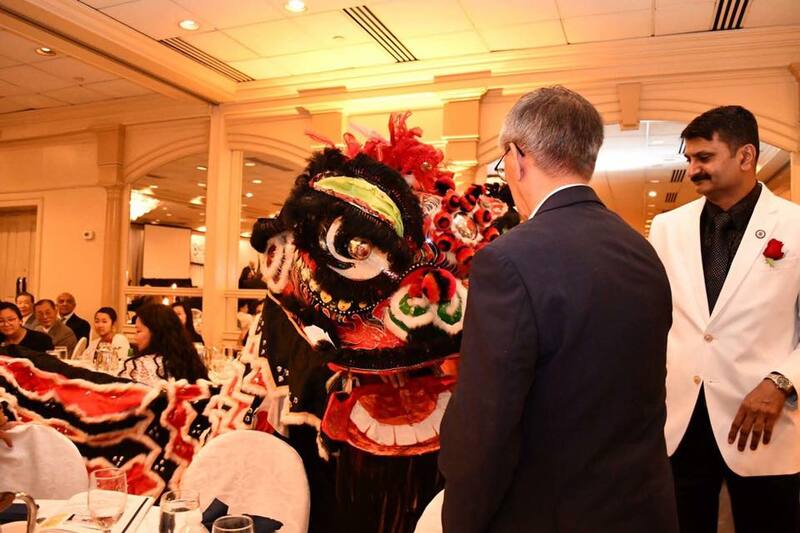 Thanks to the Tak Wah Eng Kung Fu Club of NY, the Woorigak Korean Center performers and the FFNE Philippine Dance ensemble and DJ Mike. And many thanks to our super supporters, friends and family. Lastly thanks to Joe and Robert who put in crazy hours for months in the hope that all who attended the Associations' "it took 20 years " first scholarship awards banquet. would have a super memorable time. 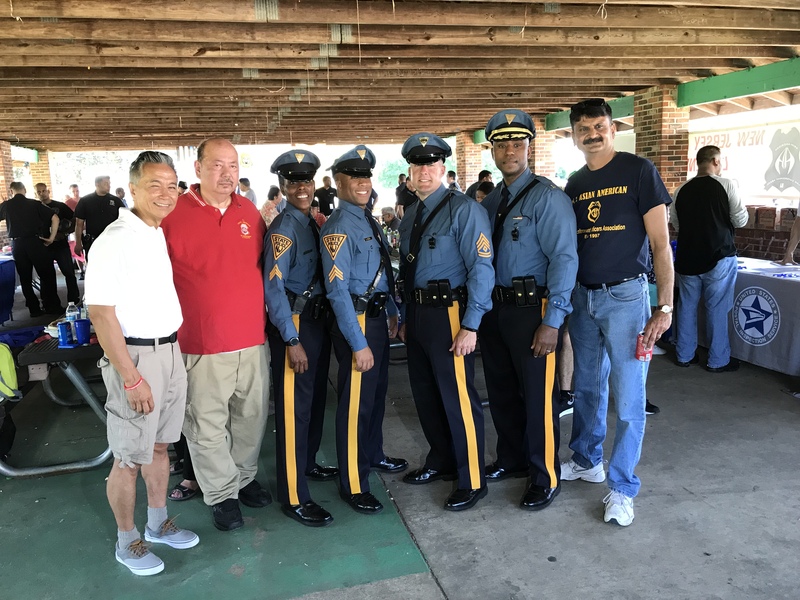 On October 22nd the association held its general membership meeting and NJSP recruitment effort at the Picnic Gardens , Edison New Jersey. 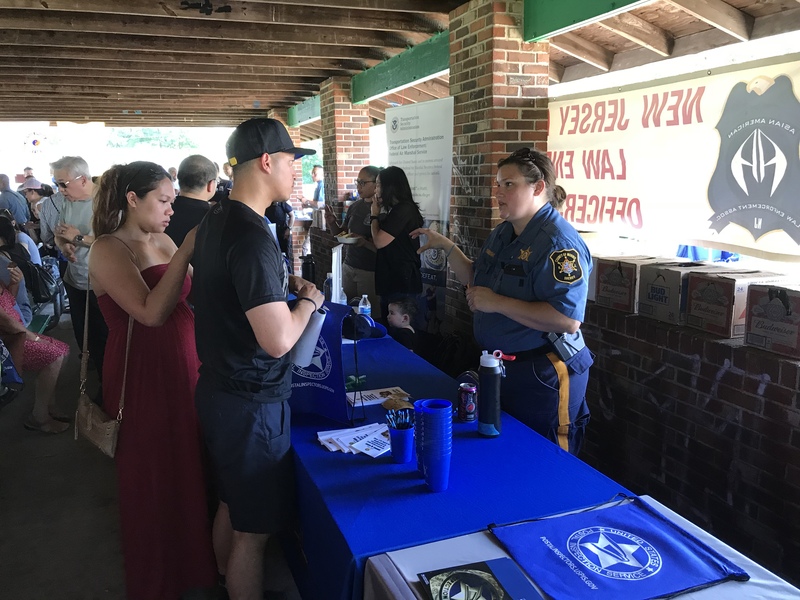 Edison PD Deputy Chief R. Mieczkowski was a guest speaker to those in attendance including invited Rutgers and Brookdale college students. 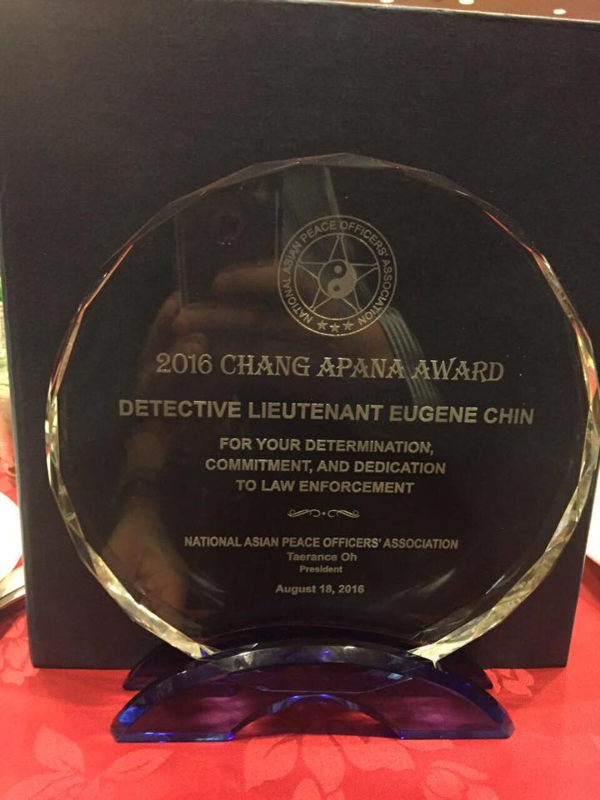 Det/Lieut Eugene Chine received the National Asian Peace Officers Detective Chang Apana during the meeting. 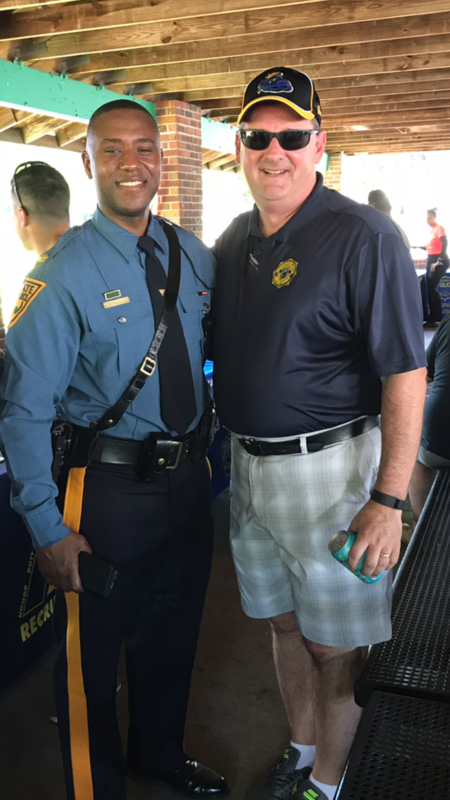 Photo one: R. May makes a few comments in regards to the presentation including thanking the honorable Morris County Sheriff Edward V. Rochford "for "unleashing" Bill Schievella to the people of New Jersey." Just after the reading of the plaque and before the presentation of said plaque to Undersheriff Schievella, the entire audience of well regarded public officials, law enforcement professionals from the federal, state, county, and municipal levels, university staff, the entire gradating class and many civilians personnel gave one William Schievella a STANDING OVATION lasting over 90 seconds. 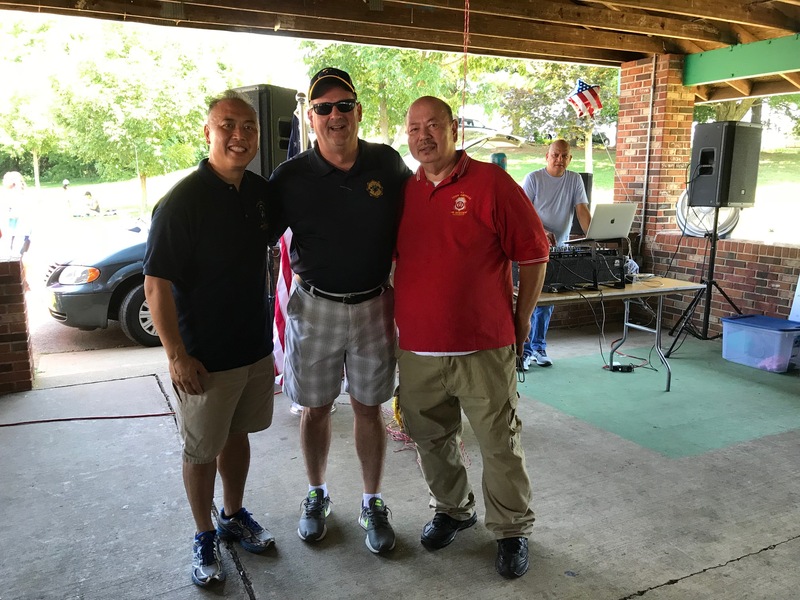 Photo two: NJAALEOA President Joseph Luistro and 2nd Vice President Neel Patel present the plaque to Undersheriff Schievella. 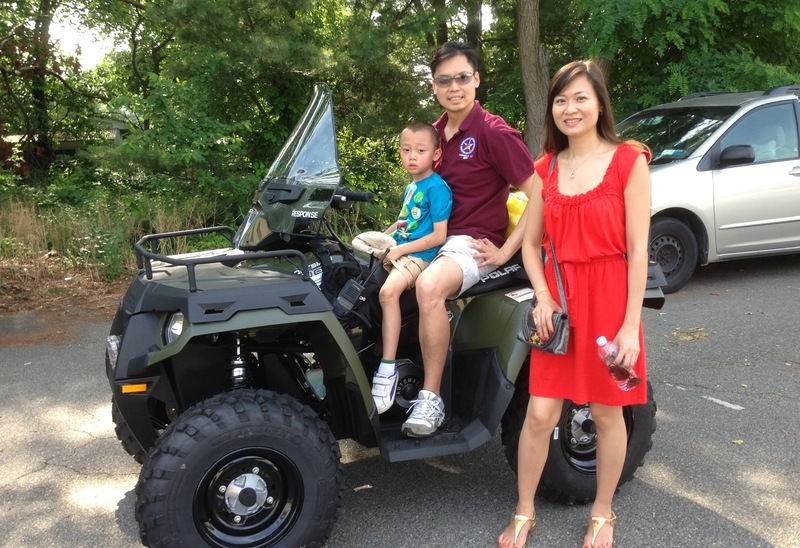 Robert May and OCA-NJ President Virginia Ng. 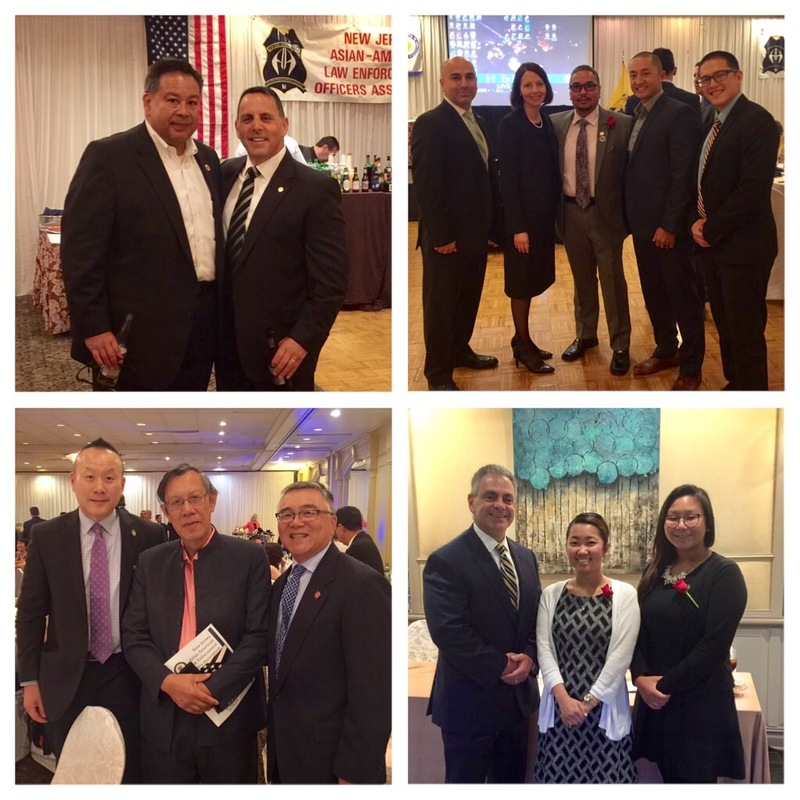 Several members of the NJAALEOA were present at the gala including three past Executive Board members of the National Asian Peace Officers Association. 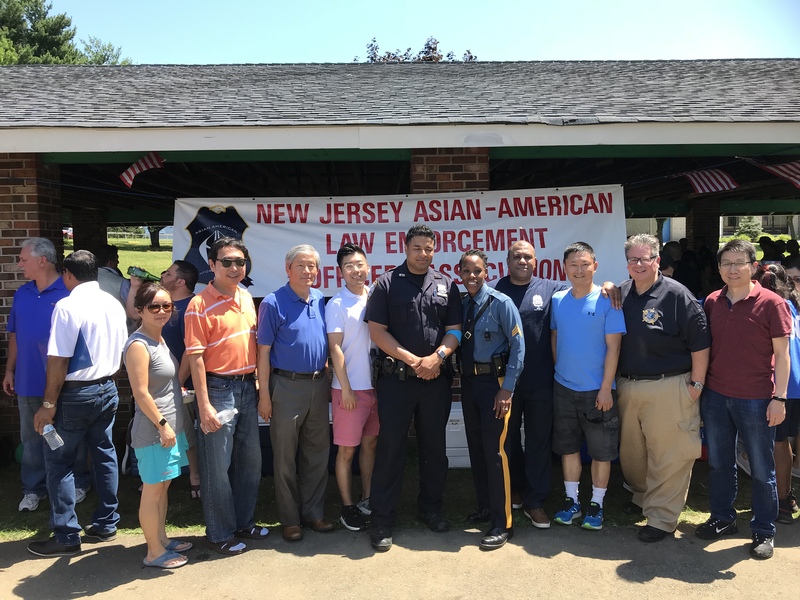 R. May, Executive Adviser to the NJ Asian American Law Enforcement Foundation David Lum and NJAALEOA President Joseph Vincent Luistro. 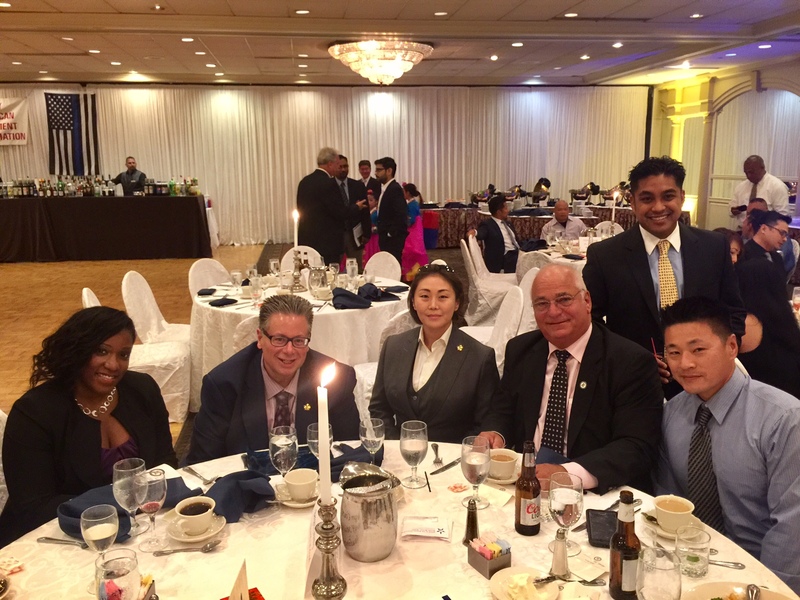 The National Police Defense Foundation/ State Troopers Coalition 11th annual dinner/awards gala. 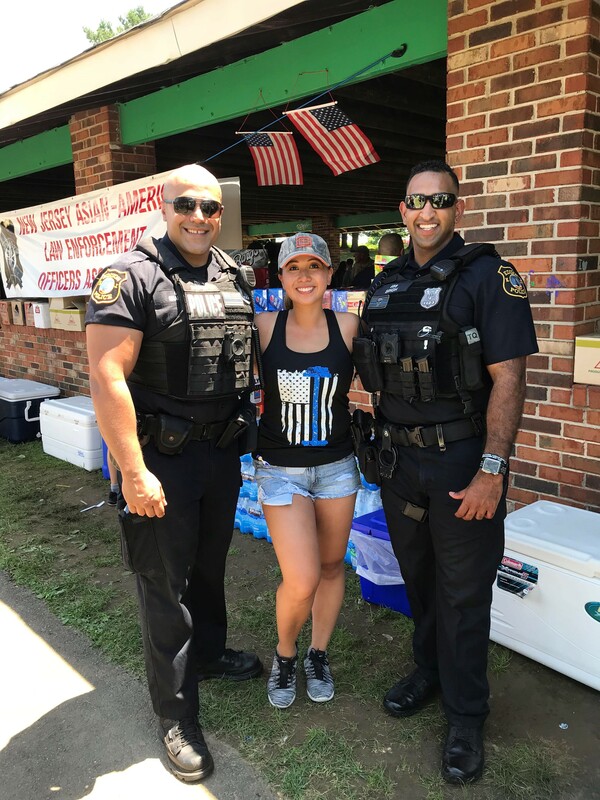 R. May, Edison Twp. 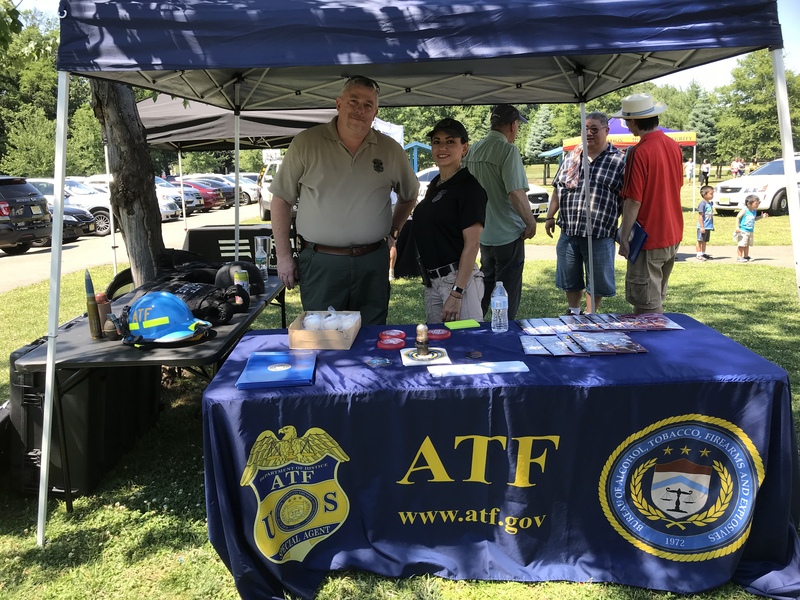 PD Captain Joseph Shannon, Edison Twp. 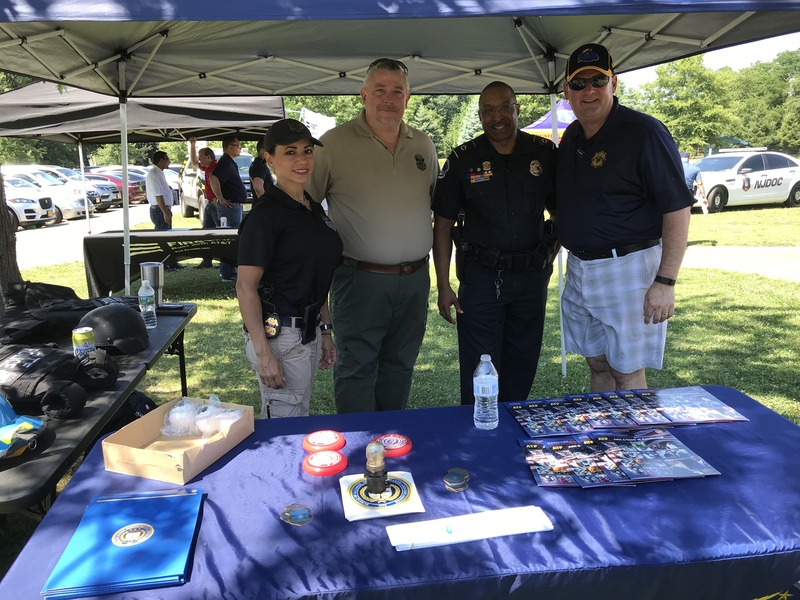 Deputy Chief Mark Anderko, the honorable Middlesex County Prosecutor Andrew Carey, Middlesex County Prosecutor's Office Chief of Detectives Gerard McAleer, Morris County Sheriff's Office Undersheriff William Schievella & NJAALEOA President Joseph Luistro. 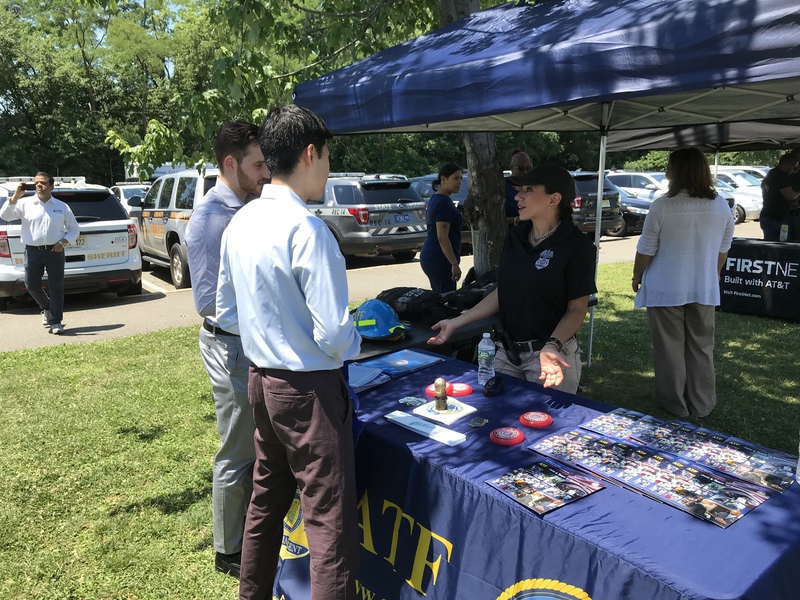 Middlesex County Prosecutor Carey speaking to the audience. 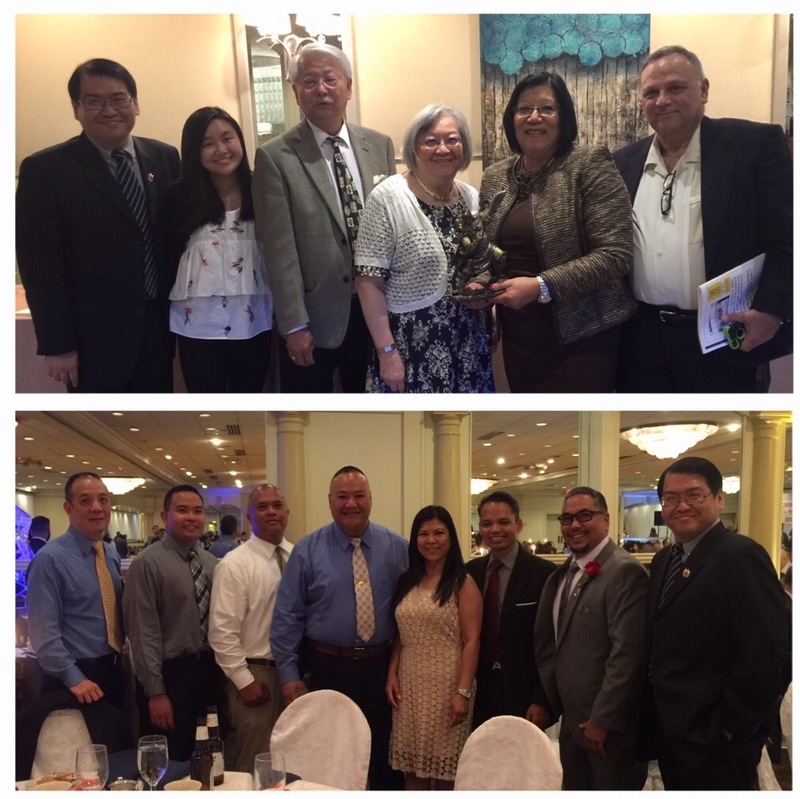 On May 2, 2014 a contingent of NJAALEOA members attended the 2014 Society of Asian Federal Officers dinner - scholarship gala. 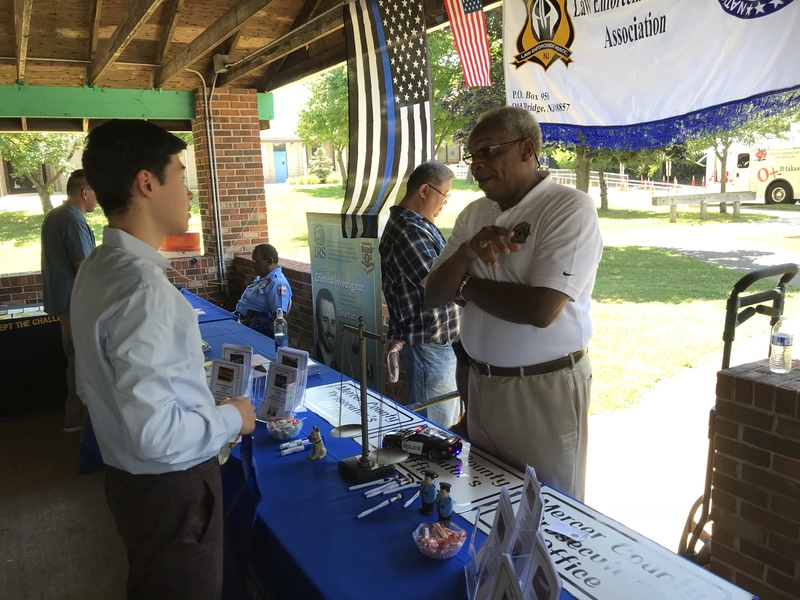 The 23rd annual event was very well attended. 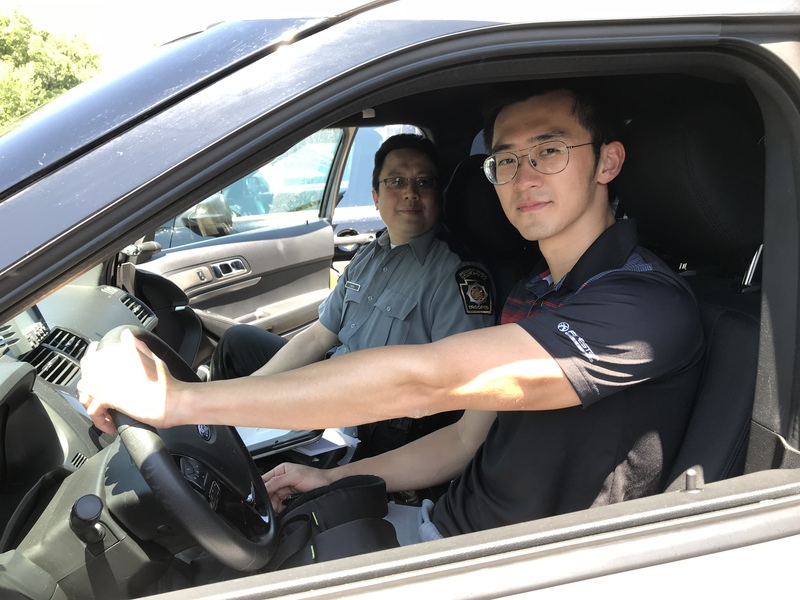 Our own Nelson Chen who is also a SOAFO member was on stage to make the opening remarks and presentation to Ms. Rae Kim and Mr. Richard Lewis who are the principals to SAFE Benefits Consulting Group. Nelson who is a very through person with any endeavor he handles just stop short of letting the audience know of Rae's and Richard's shoe sizes and their preference of toothpaste. 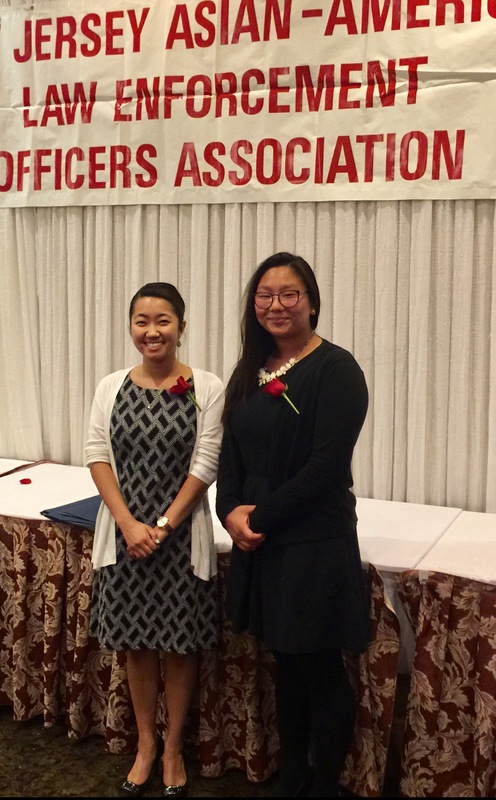 None the less we are very proud of Nelson and kudos to Rae and Richard for being SOAFO's civilian of the year award recipients. 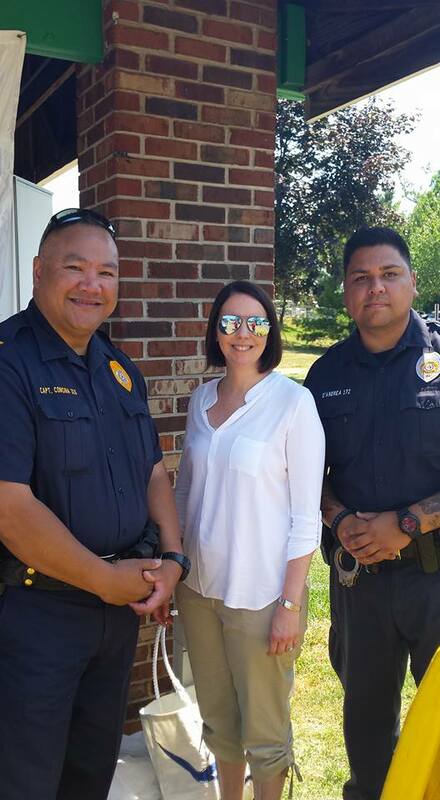 Photo One: Some of the NJAALEOA crew at the 2014 SOAFO event. 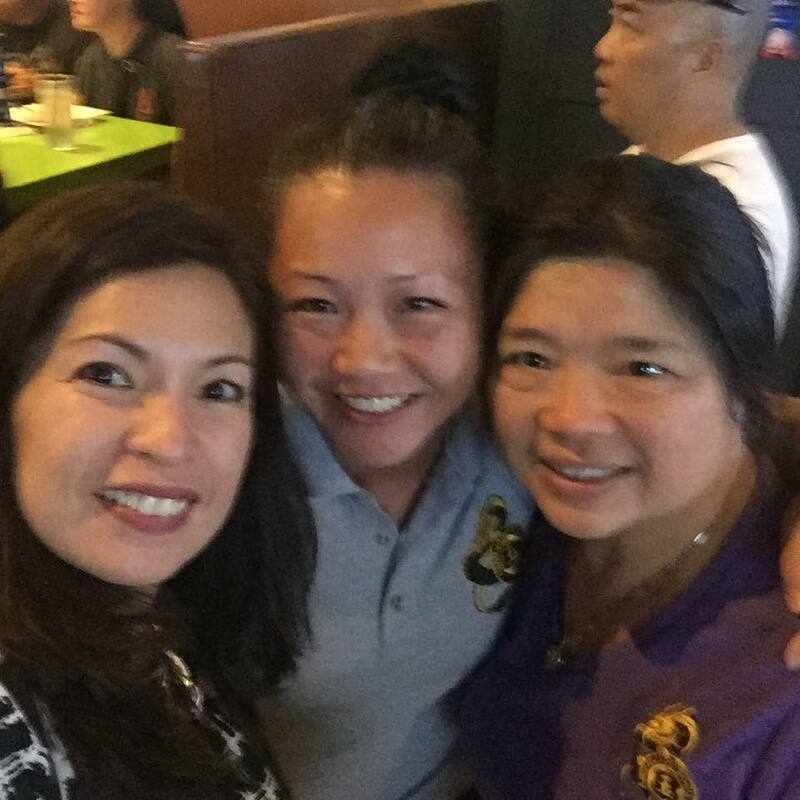 On April 16th, 2014 members of the association met with the honorable Union County Prosecutor Grace Park. 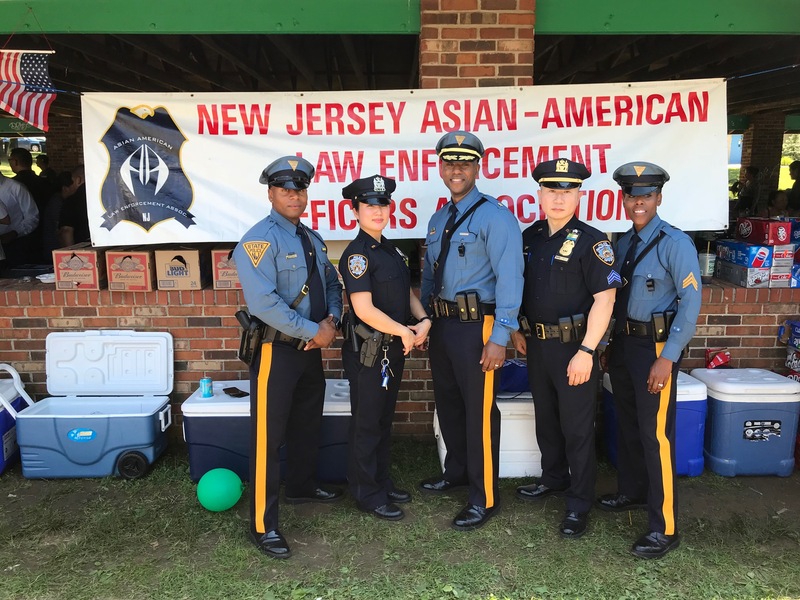 Prosecutor Park is the first Asian American female county prosecutor in New Jersey. 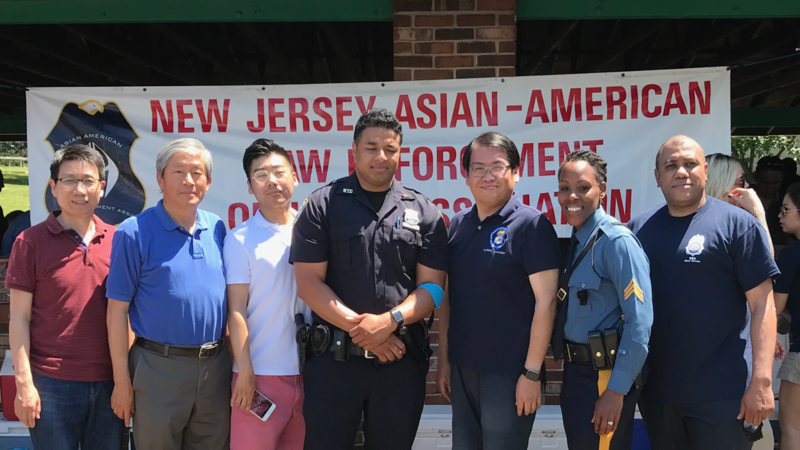 The meeting was very productive as Prosecutor Park was informed of the history of the NJAALEOA, how the association has assisted law enforcement entities in the past, our community outreach endeavors and the language skill set many of our members possess which may be helpful with a variety of law enforcement issues. 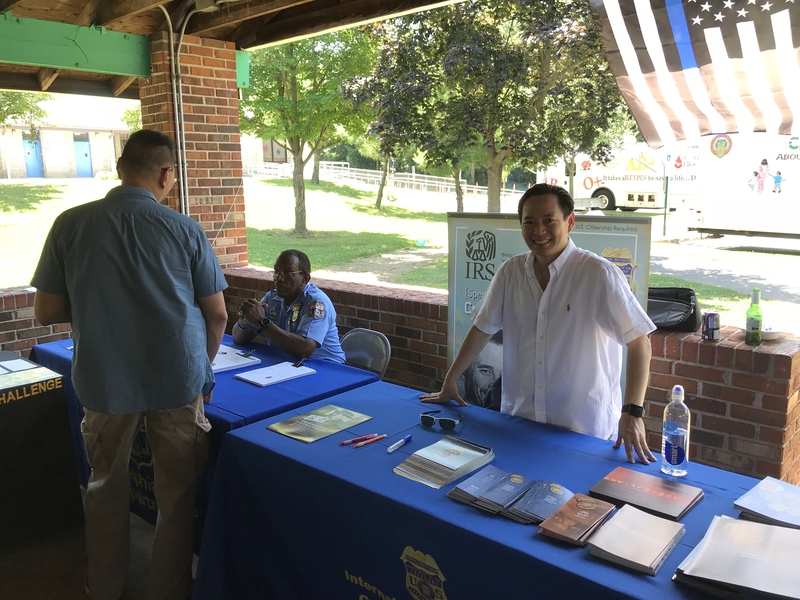 These are photos taken by Jamie Yeh while the NJAALEOA participated in the Families with Children from China/ New York event which was held at Liberty State Park. 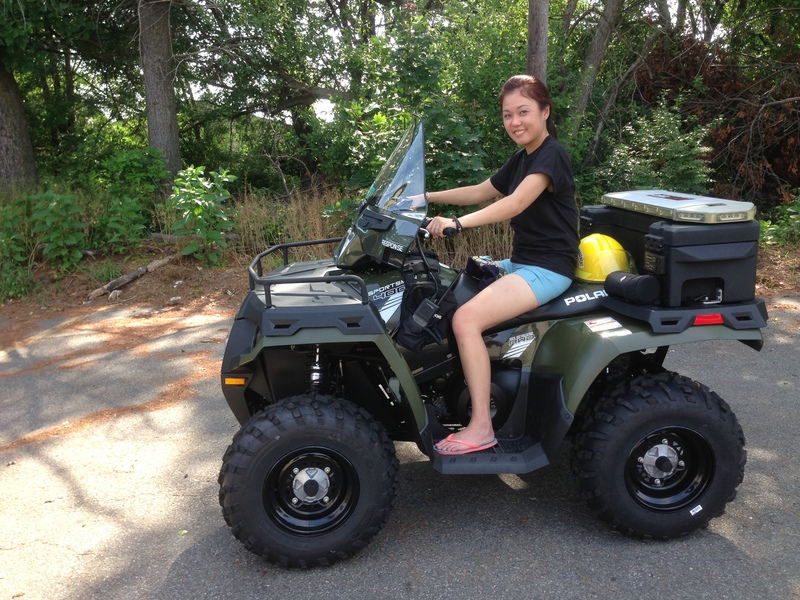 Thanks to all who helped out Jamie Yeh, Alan Chow, Jose Raboy and Virginia Ng. 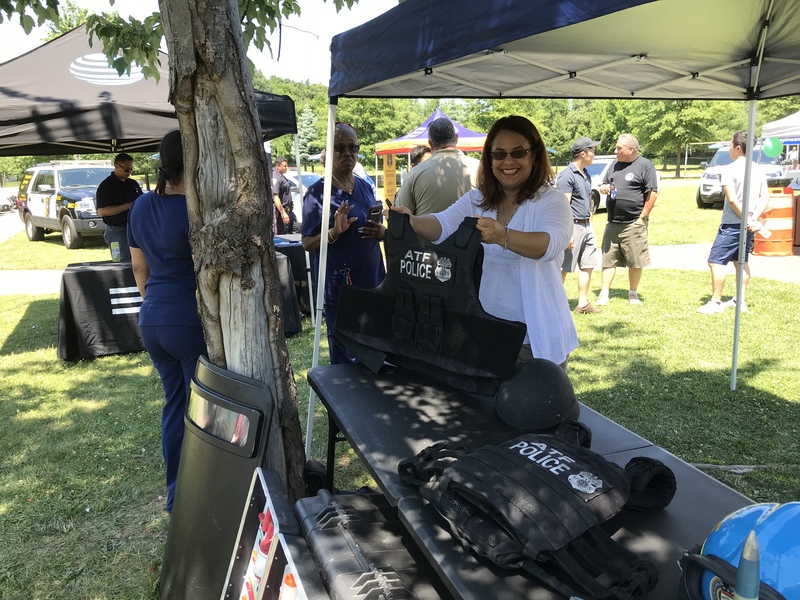 It was good to hang with out vendor buddies from OCA New Jersey who also participated in the event. 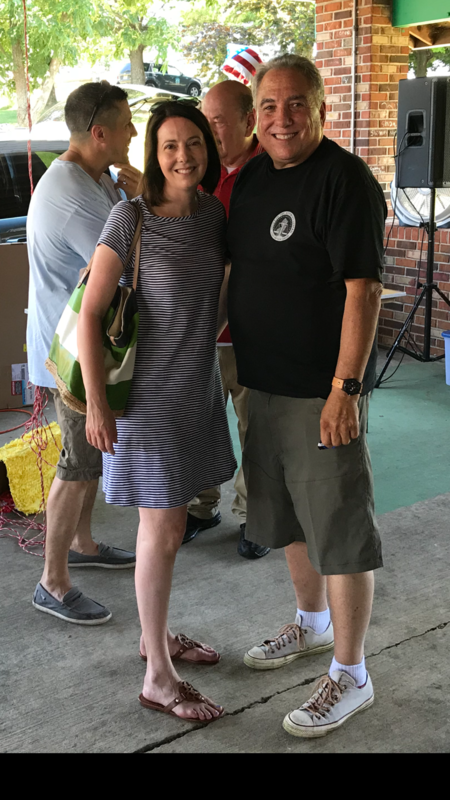 Sheriff Newell Normand in front of the casket of Sheriff Lee with family members seated, actor Steven Segal with Officers from the Jefferson Parish Sheriff's Office. 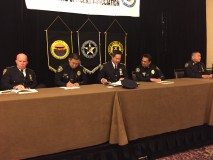 Sheriff Lee with the Louisiana State Police & Jefferson Parish Sheriff's Office honor guards. Louisiana Law Enforcement Officers Memorial.